Sporty bump cap in a baseball style. 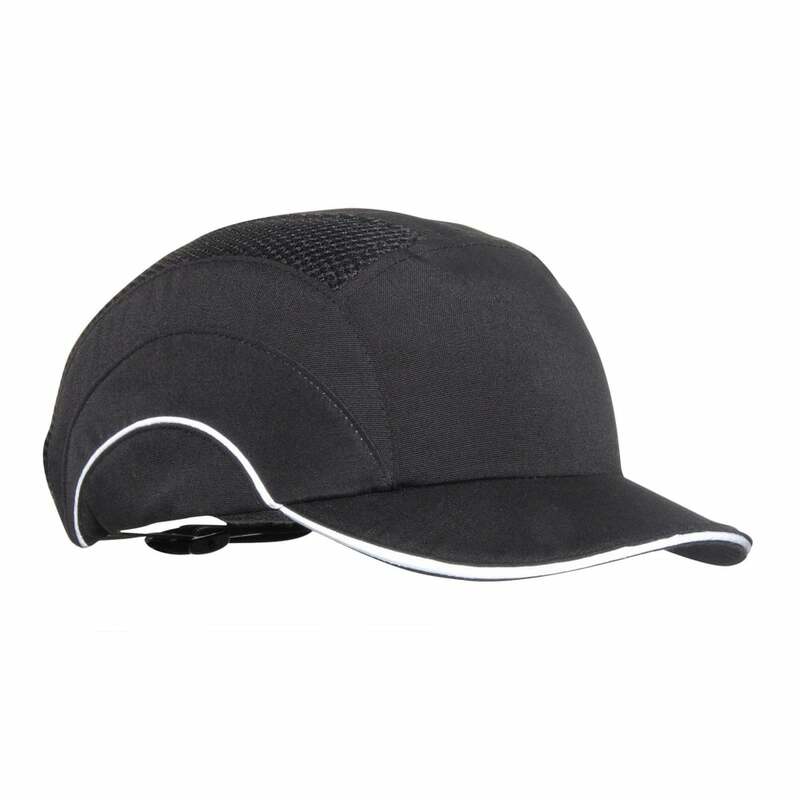 Offers all round protection from all angles of the cap. Sleek and low profile, it’s almost impossible to distinguish from a standard ‘high street’ baseball cap. Unique angled adjuster designed to fit under the occipital bone at the rear of the skull meaning one size really does fit all, particularly when combined with the castellated protective liner. Removable liner, therefore the cap part is machine-washable for hygiene purposes. Terry-towelling sweatband for added comfort and absorption for the wearer. Subtle reflective piping for added visibility safety.